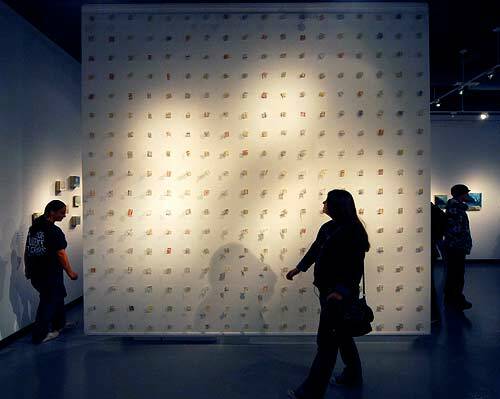 The large work in this photo, "Wall of Grids," created by Daniella Woolf, has over 300 small pieces made waxed strips of paper was designed specifically for the space in the gallery. You'd better get there before Dec 6, because it all comes down then. Got any good wax lines for us? Wax on, wax off? Waxing enthusiastic? Something about Brazil?